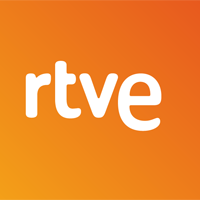 State-owned broadcaster RTVE ended its first year without ad revenue with a deficit of €47.1 million – a sum roughly the same as the amount it claims the telecos and private broadcasters are side stepping in the levy system set up to compensate it for the loss of airtime sales. RTVE has accused commercial broadcasters and telco companies of miscalculating the amount they should have paid, using net earnings rather than gross. The public broadcaster claims that commercial networks still owe €9.2 million and telecoms an addition €43.1 million. The government had forecast a €400 million drop in revenues following the 2010 prohibition of advertising on the broadcaster and this would be compensated by a three percent tax on annual gross revenues for the free-to-air channels and a 1.5 per cent tax on pay channels, along with the sale of certain broadcast rights for some €40 million. But, in the end, the operating costs of €1.18 billion exceeded the E1.14 billion in revenues.